Spider Fact Sheet that has some of the most common concerns. Some spiders will find their way into the house, but typically won't survive because their is no readily available food source. 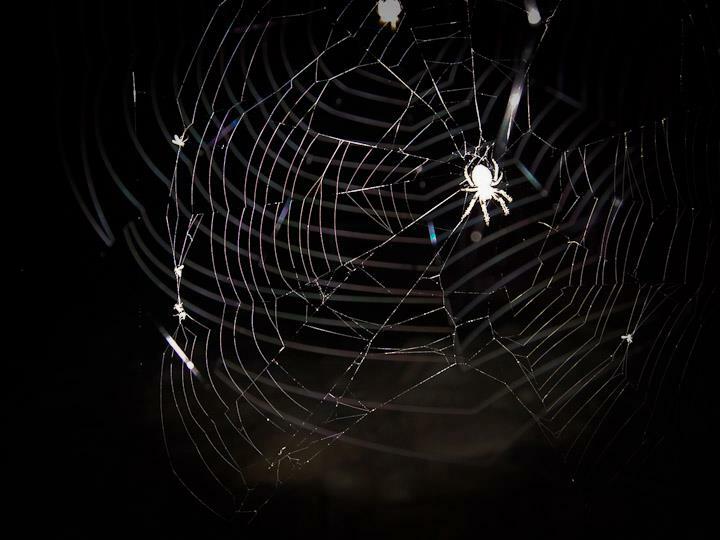 Spiders eat other insects, so if your home is free of insect infestation on the inside, your won't likely have a problem with spiders setting up residency. Are tiny bites in the morning caused by spider bites? No, bites noticed in the morning are general caused by bloodsucking insects, such as fleas, bedbugs, kissing bugs, lice or flies. Many times these "bites" are not even pest related, or what we call mystery pest and offer to put out Monitoring Boards for identification. No, spiders don't chase people but some spiders move toward shadows to hide. If you are casting a shadow near your feet, it may seel like the spider is moving toward you while it is actually heading for the nearest hiding spot. Like most animals, spiders would prefer just to be left alone. Do spiders come up in drains or bathtubs? no, spiders don't live inside your plumbing or in your sink, bathtubs or showers. Sometimes they are thirsty and come to drink water droplets. They become trapped because it's too slippery or steep for them to climb out. What causes spiders to bite people? True spider bites, which are very rare events, happen when a spider is trapped inside your clothing when you are putting your cloths on. Many homeowners leave their "gardening shoes" outside on the back porch where spiders may crawl into. This can be a common source for black widow bites. Do black widows always eat the male after mating? No, contrary to popular belief the male usually leaves peacefully after mating. If you have concerns for these pest or any other, we are here to help. We offer free inspection for general pest and can design a pest program for you and your family.